AP-400b Display: 2 in. 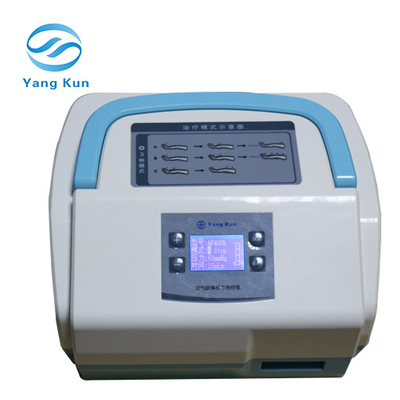 LCD screen,chinese/english menu,touching operating,real-time display the parameter of treatment status.treatment part,remaining time,truly pressure of every cavity,Inflatable speed e.g. 4.Sleeve can be connected 2 sets 4 cavity and will cure 2 limb part of body simultaneously. 7.Continuous pressure increasing efficiently vein evacuate to ensure velocity of flow of blood in a higher level.